The following is a list of quotes from The Tragedie of King Lear, a tragedy written by William Shakespeare. When power to flattery bowes? Aloofe from th' intire point, will you haue her? With Base? With basenes Bastardie? Base, Base? As to th' legitimate: fine word: Legitimate. Lear. Do's any heere know me? 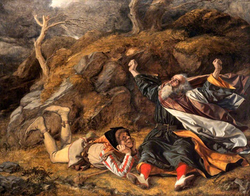 All information for Quotations from King Lear's wiki comes from the below links. Any source is valid, including Twitter, Facebook, Instagram, and LinkedIn. Pictures, videos, biodata, and files relating to Quotations from King Lear are also acceptable encyclopedic sources. Other wiki pages related to Quotations from King Lear.